Looks like Trump's attack on black athletes in the NBA and NFL has backfired and has now spread to Major League Baseball. 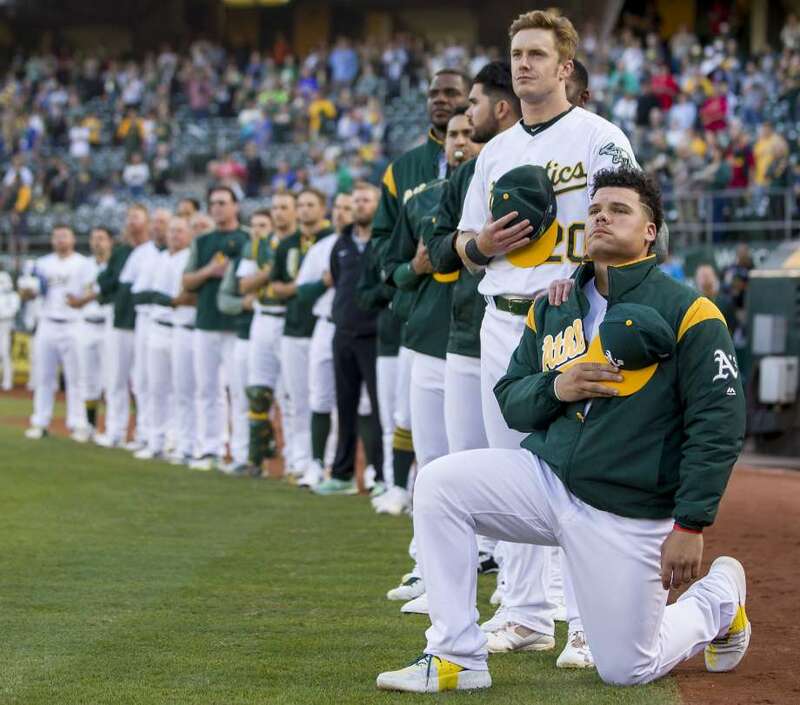 Bruce Maxwell, son of a US Army veteran and Oakland As backup catcher became the first Major League Baseball player to kneel during the National Anthem. He did so after talking with his teammates and the general manager.